barbecue spare ribs, cooking, family, food, recipe, Whatever Happened to Dinner? 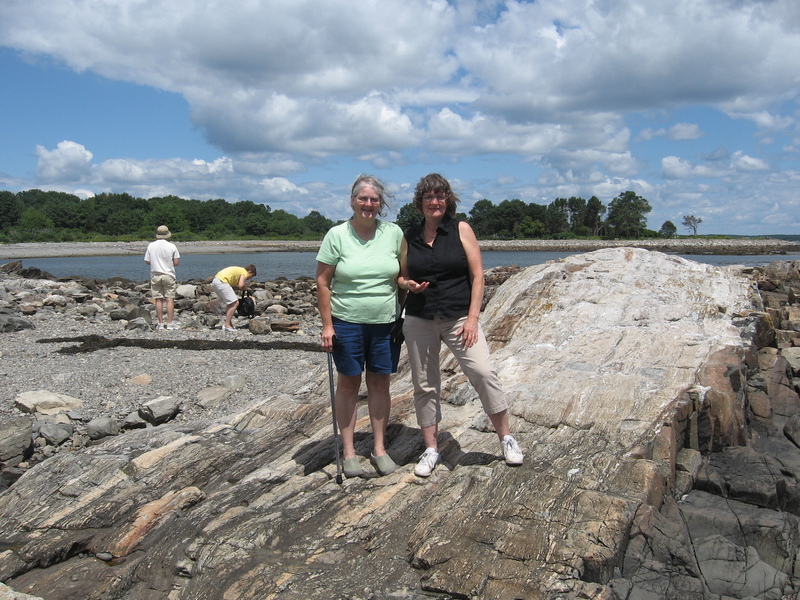 Me with my sister-in-law Barbara, on left, along the New Hampshire coast a couple years ago. My sister-in-law Barbara is an awesome cook. I don’t know of anyone who would disagree with me on that. She MAKES THE BEST MACARONI AND CHEESE IN THE WORLD and I can’t come near her dish even though I’ve tried for some 37 years. Sometime, maybe we’ll do a tutorial with her on the mac and cheese. Much of what I’ve learned about Virginia-style cooking I’ve learned from her example, who learned from her mother. Plus my brothers-in-law, who aren’t bad in the kitchen. (Don’t know why that gene skipped my husband, except that the older boys learned to cook because their mother was greatly hampered by rheumatoid arthritis through all of their childhood and they had to help get supper on the table.) They all make great fried chicken, southern ice tea, green beans, oysters, gravy and more. 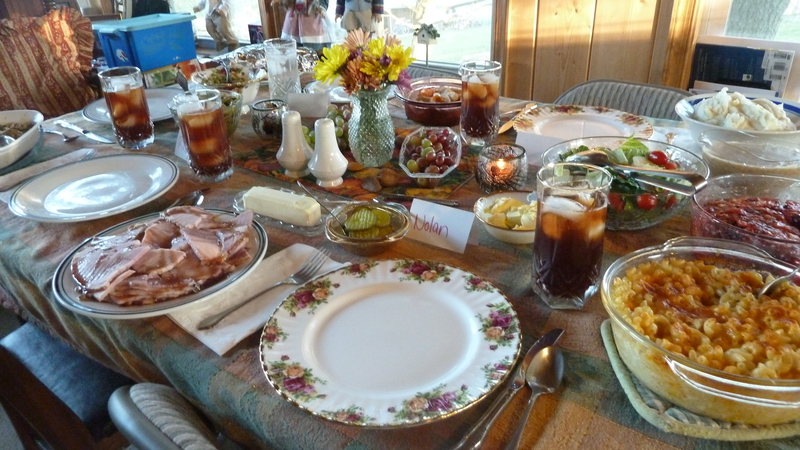 Thanksgiving dinner at Barbara’s house last year. I’m hungry already. So one evening years ago when Barbara served up some pork spareribs cooked in a barbecue sauce in the oven, I wanted her recipe. She may have gotten it from a magazine, I don’t know. 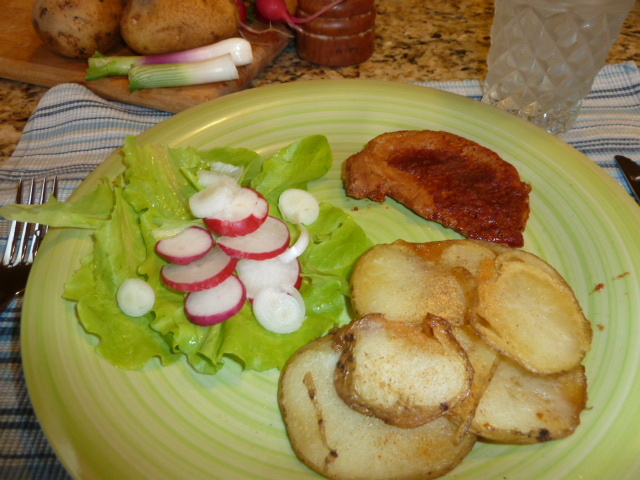 It is pretty basic but it is easy and makes a delectable dish out of ordinary pork tenderloin or spareribs, and using ingredients that practically everyone has in their kitchen. I usually make them with oven roasted potato wedges since the oven is on anyway. Cook spareribs in boiling salted water until half done, about 15 minutes. Mix all other ingredients together and heat in small pan. Put ribs in 13 x 9 inch baking dish. Spoon sauce over top of ribs and extra into pan. Bake at 350 degrees for about 1/2 hour. I usually turn them over half way through and redistribute the sauce. 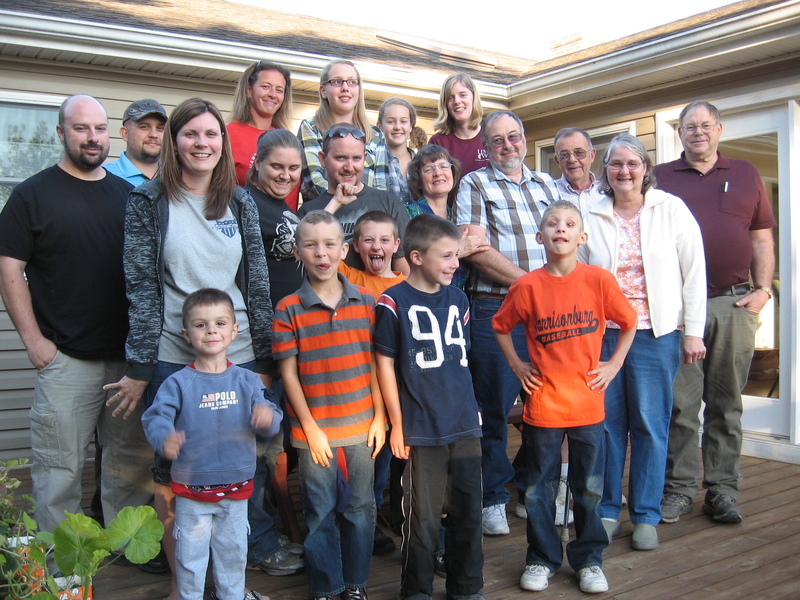 Part of the Davis clan, a couple years ago.